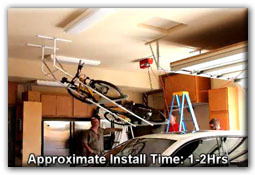 The Garage Makeover video displays multiple systems that Slide-Lok has to offer. 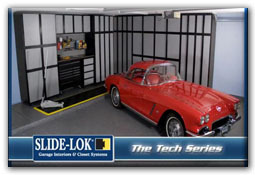 From our classic series cabinets, flooring, slat-wall, and tech series cabinets. 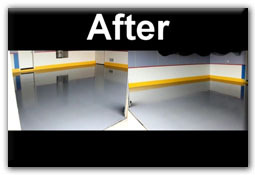 You get to see how our storage systems and floor products work together to completely refinish a garage, giving it that look you wanted. Our classic series cabinets come in "classic colors" to truly highlight a garage, your choice of Natural Maple or Red Alder. Our tech series cabinets come in a sleek stylish design to give your garage that "edge" it needed, an edgy grey and black cabinet system. 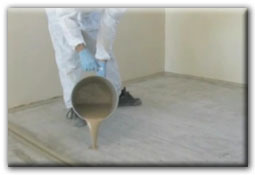 And to further add to our tech series, ask about our tech series flooring. 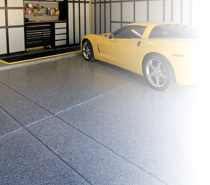 Tech series polyaspartic garage floors add to our cabinet series offering unmatched color and gloss retention in tech silver, tech red, and tech blue. With unrivaled performance, durability, UV resistance, strenght, color options, and limitless chips/chip/flake/fleck possibilities you can truly have a one of a kind unique garage.